Even the youngest kids can have cooking adventures! 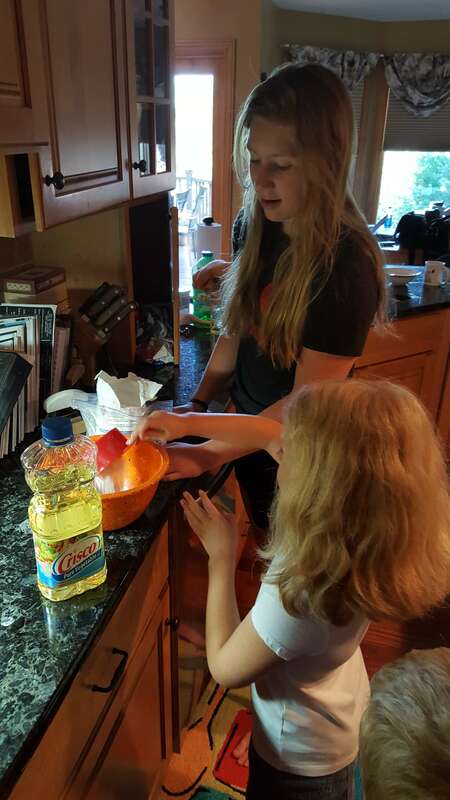 Young kids love helping with small tasks such as stirring and pouring ingredients. Older kids can learn to crack eggs and measure ingredients. Here are some great tips for working with kids in the kitchen. Always remember – SAFETY FIRST! Give frequent reminders of what kids can touch and what can hurt them. Remind kids which jobs are for grown-ups and which ones are for kids. Try to use the same terminology so things become familiar to them. Establish kitchen rules (such as always washing hands before you cook or eat and never touching the stove). Even older kids can benefit from safety reminders, especially if they are using sharp or hot appliances. Make sure kids are helping with tasks that are appropriate for their age. Young kids should NOT use sharp knives or use hot appliances. When kids are ready, make sure to teach them how to use these kitchen tools safely. 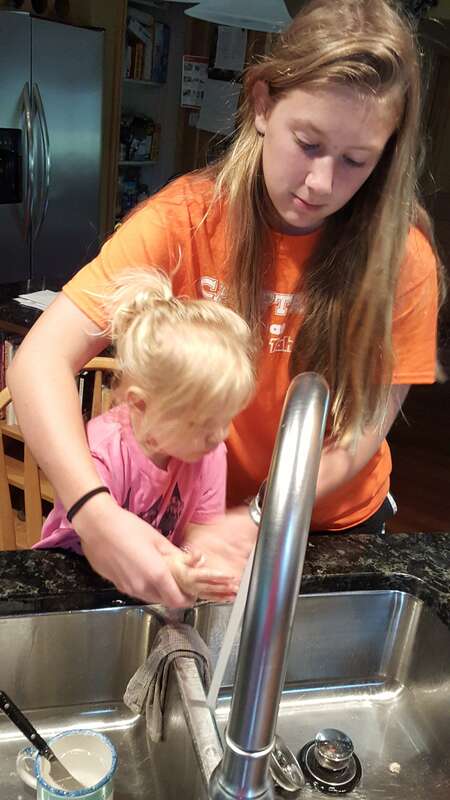 Always supervise kids in the kitchen! It is very helpful to have an older kid or a second adult in the kitchen to help with supervision while cooking. Teach kids basic tips for safe food handling such as washing hands, keeping food preparation surfaces clean, washing fruits and vegetables before use, and proper handling of eggs and raw meat (try having preschool aged kids wear plastic gloves if handling raw meat). Choose the right time for cooking with kids. Pick a time when you are not in a rush (preparing a meal after a long day of work when everyone is already hungry is probably not the best time). Make sure younger kids are well rested and in a good mood before embarking on your kitchen adventure. Cooking together will be the most productive (and enjoyable) if you are all in a good mood. When cooking with kids, try to avoid using recipes that have a lot of wait time, and do prep work in advance whenever possible. (Example – wash fruits and vegetables ahead of time so kids do not have to wait). Begin with recipes that are fairly simple (5 ingredients or less for young kids) and appropriate for the child’s age you are working with. Avoid measuring ingredients over the bowl. If kids spill you do not want to have to dump all the ingredients. Instead, measure ingredients over the sink or an empty bowl. Loosen up and have fun! Kids will spill. They will get dirty. Your kitchen may get dirty. Clean up the mess together and move on. There’s no use crying over spilled milk! 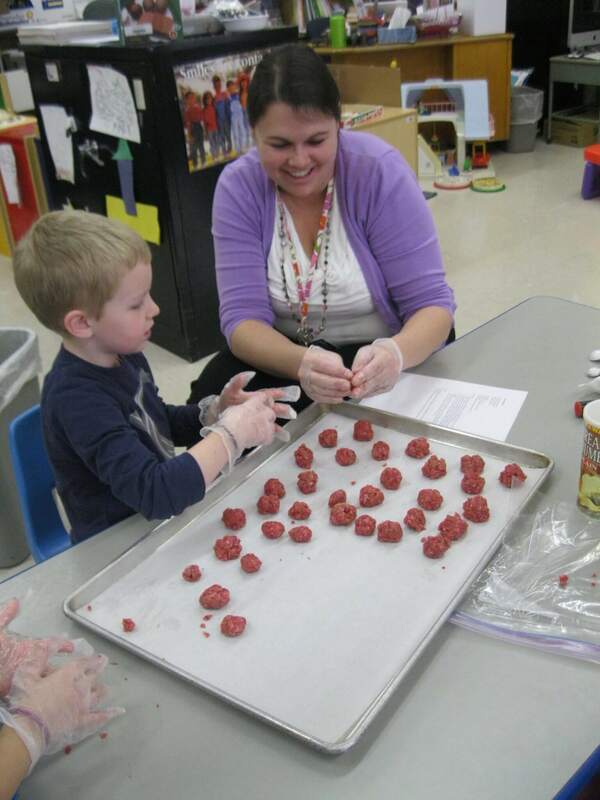 Older kids can help measure ingredients. Have young kids wear plastic gloves when working with raw meat. Keep recipes simple and fun for young kids! 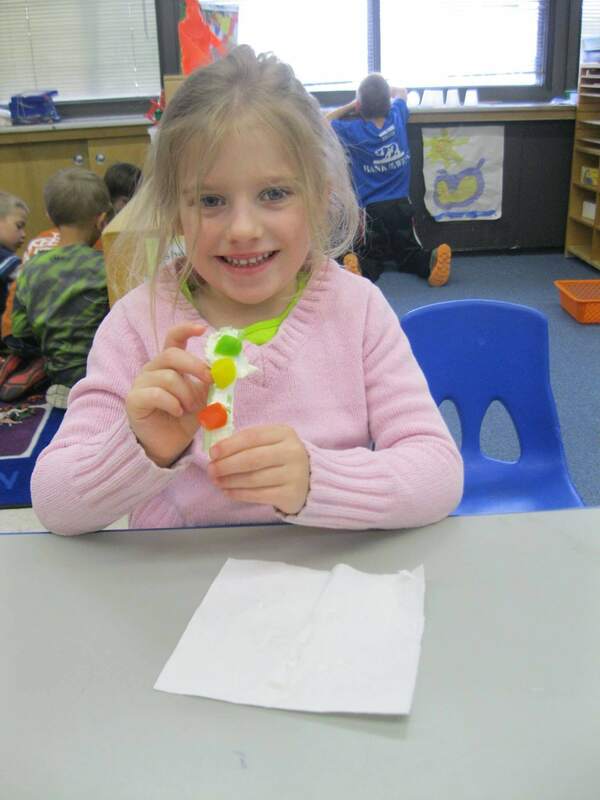 Simone made a pepper stoplight with celery, cream cheese and peppers. Think health and safety first! Always wash hands before cooking!